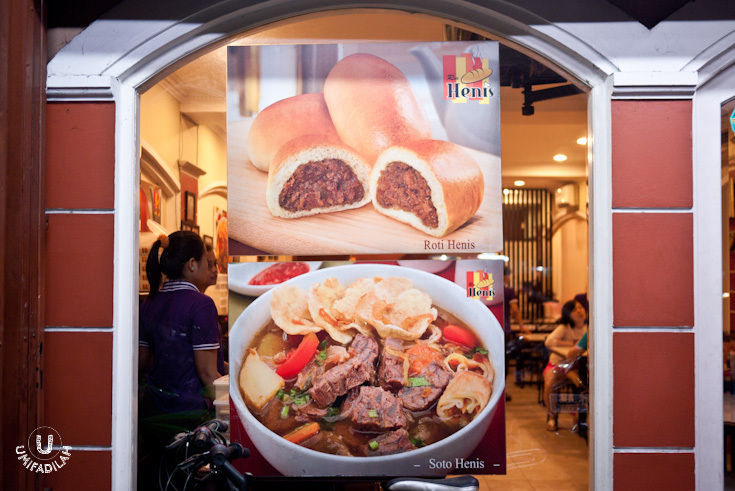 We’ll start with the first one: HENIS Bakery & Restaurant. Of course in reality they didn’t look as good as the ads (hats off to the food stylist + photographer! ), but nevertheless they still live up to the hype. 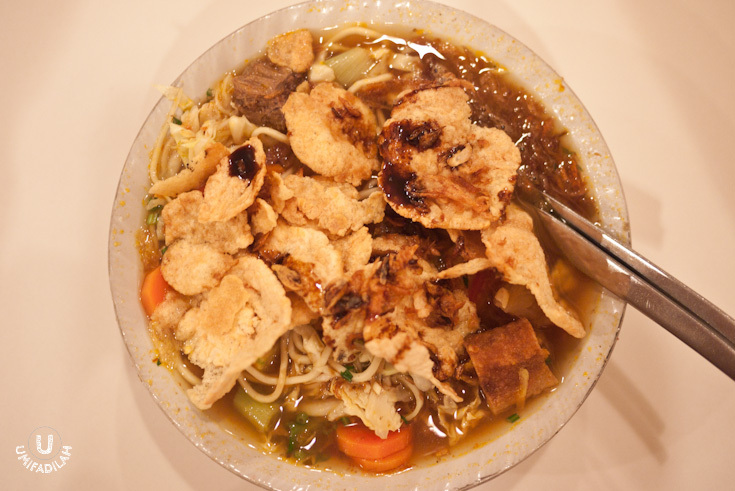 Here’s what Roti Bakso Ayam by Henis actually look like. Roti Bakso Ayam Henis – IDR 8.000/each (as of September 2013). 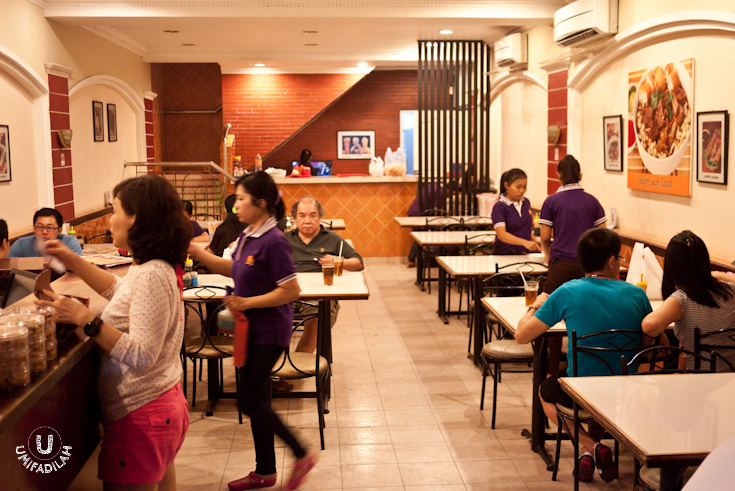 Packaged simply with only phone numbers info for you to order & delivery: (021) 629 6501 and (021) 659 2235. 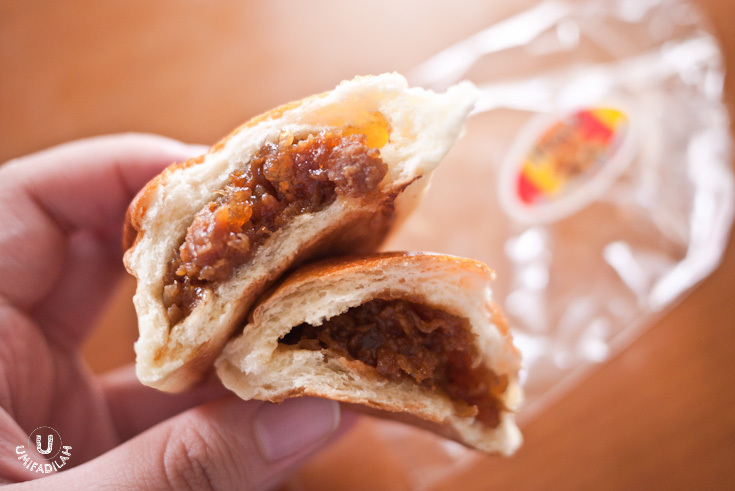 Usually when eating stuffed bun, you’ll only reach the filling at second or third bite. But that’s not the case with Henis’ bread – true that they looked small but don’t be fooled by its outer appearance, you’ll get to its filling right at the first bite! A big portion for a single meal, I must say. Generous beef hidden underneath, sweet carrots and cabbage, fried spring rolls with rice vermicelli in it (risoles), and so many other ingredients. Portion-wise? Only for the hungry. Taste-wise? It’s delicious, but not the kind that blows my mind in an instant. Worth a try, though.